The 2nd of April is another black page in the history of modern Azerbaijan. Today is the 26th anniversary of the occupation of the Kаlbajar region by Armenian troops. Kаlbajar is located outside Nagorno-Karabakh. It is the most high-mountainous region of Azerbaijan with a territory of 1,936 square kilometers. Before hostilities, population of Kаlbajar was 58,000 people. The occupation of the Kаlbajar region was accompanied by inhuman mass crimes against the local population, which did not go unnoticed by the international press. On the night of April 7-8, 1993, Armenian troops burned the village of Agdaban in the Kаlbajar region, tortured 779 civilians and completely burned 130 houses. The brutality of the Armenians was unlimited: 67 people were killed, among them eight people aged 90-100 years old and two children, seven women were burned alive, two were missing, 12 people were seriously injured. Armenians destroyed in Kаlbajar 97 schools, nine kindergartens, 116 libraries, 43 clubs, 42 houses of culture, 9 hospitals, 13,000 private houses and 37,852 hectares of forest area, natural resources, including rich gold deposits. The occupation of Kаlbajar by the Armenian side led to the death of 511 civilians, another 321 people were taken prisoner or missing, and 58,000 people were expelled from their homes. After the occupation of Kаlbajar, UN Security Council adopted Resolution No. 822, demanding Armenia immediately to withdraw troops from Kаlbajar and other occupied regions of Azerbaijan. But this resolution, like the other three, adopted later, is not implemented to this day. 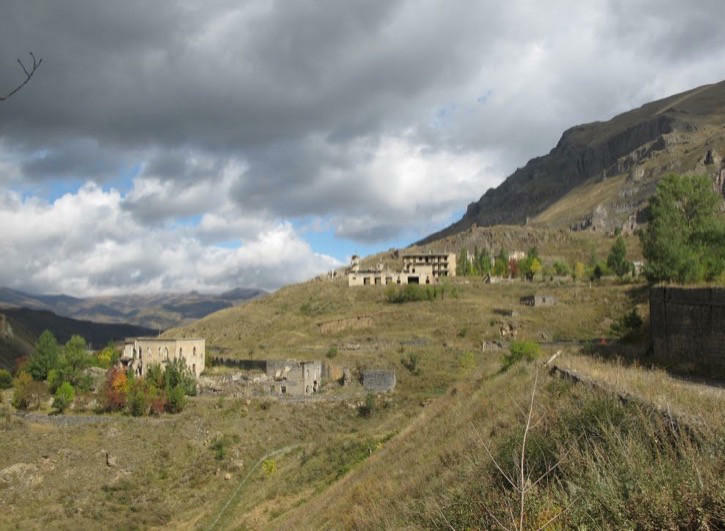 In addition, contrary to the principles of the UN and the OSCE, Armenia began artificially settling the territory of the Kаlbajar region with Armenians since 1999. Having violated international humanitarian law, Armenia conducts an artificial settlement policy in the occupied Kаlbajar region of Azerbaijan and tries to change the demographic composition. The fact of Armenia’s participation in the conflict, and in particular in the seizure of the Kаlbajar region, is confirmed in the collection of the non-governmental organization “Human Rights Watch / Helsinki”. Armenian has been numerously called to put an end to the policy of aggression and ethnic cleansing, and fulfill its international obligations. The day is not far off when Kаlbajar, like the other occupied territories of Azerbaijan, will be liberated from the aggressor, and the civilians of these beautiful lands will return to their lands. Nothing in the world can prevent the Azerbaijani people from restoring justice and territorial integrity of the country.